Is your transmission shifting? Can you even shift gears at all? You may need transmission repair in Phoenix. 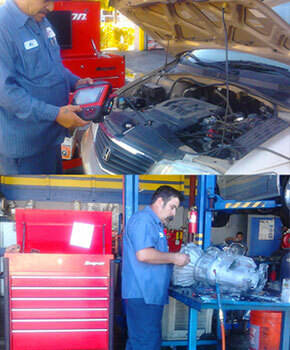 Transmission Center can easily determine what the problem is and provide you good service at affordable rates. Ask about our scheduled transmission maintenance services. We replace your transmission fluid, check all components and make sure that your transmission keeps going, whether you have an automatic or manual transmission. For a free diagnostic, call us today. Call today to schedule a transmission overhaul. You can save big while improving your drive and ensuring your safety on the road.